Lake Heart City was currently a prime tourist spot for players, as the city itself was like heaven on earth. Many casual players or players who wished to get away from the frontlines would often visit this city. However, those who preferred adventuring and battling rarely visited the city. Most of the leveling maps around Lake Heart City were either located underwater or shrouded in mist. Both environments affected a player's combat power considerably. Hence, very few players wishing to level up and go on adventures would reside in Lake Heart City. Due to players reaching higher levels and the increasing number of maps and Dungeon Bosses requiring high Ice Resistance, the presence of the Ice Jades eventually attracted a lot of attention to Lake Heart City. In the past, the city had very quickly gained popularity, becoming the sixth most populous city in the Black Dragon Empire. The prices of Land there had skyrocketed overnight. Shi Feng never imagined that he would receive such a fortunate offer as a result from selling the Strengthening Devices. After agreeing on the trade conditions, Shi Feng and Phoenix Rain decided to meet up in White River City. If one wanted to trade Lands, they needed to do it through a City Hall through either of two methods. The first method was a relatively fast but troublesome process while the second method was simple but time-consuming. Shi Feng usually left the responsibility of purchasing Lands to Aqua Rose and Melancholic Smile. They would then transfer the ownership of these Lands to him through a random City Hall. This way, he didn't need to make a trip to the City Hall. However, this method of transferring ownership had a verification period of one day. The other method was for him to go to the relevant City Hall in person. By doing so, he could complete the transfer procedures immediately. Currently, Shi Feng was in no hurry to obtain the Land in Lake Heart City. Hence, there was no need for him to travel there personally to complete the transfer of ownership. During the time Shi Feng and Phoenix Rain were chatting with each other, one notification after another popped up in Shi Feng's system notification window. System: The 20 Strengthening Devices you placed on auction have been sold. After the deduction of the processing fees, a total of 164 Gold 85 Silver has been added to your bag s.p.a.ce. System: The 20 Strengthening Devices you placed on auction have been sold. After the deduction of the processing fees, a total of 165 Gold 64 Silver has been added to your bag s.p.a.ce. During the short time since Shi Feng left the Auction House, the amount of money in his bag had increased by over 1,000 Gold. The rate at which he was earning money was just staggering. This handling fee is simply usurious! Shi Feng felt a pang in his heart when he looked at the actual amount of money he had obtained from the sales. Although the current handling fee was not as high as that of the monthly auction, it was still 20%. He could have purchased many good plots of Land with all the handling fees he had paid. Shi Feng could not help but admit that the Auction House was extremely profitable. Unfortunately, current players were still incapable of establishing their own Auction Houses. The precondition for doing so was having a city of their own. Following which, Shi Feng teleported back to White River City and prepared to head to the Library. The golden tablet held a great temptation for Shi Feng. A Secret Technique was a treasure that could allow players to learn advanced combat techniques directly. To Guilds, not to mention several Epic Weapons, even the value of a Fragmented Legendary Weapon was incomparable to that of a Secret Technique. If he could obtain the golden tablet, it would definitely improve the overall strength of Zero Wing's core members by a large margin. Upon exiting the Teleportation Hall, Shi Feng took out the dark-gold whistle from his bag and blew it gently. As the sound of the whistle rang out, a magic array appeared on the street. The Demonic Flame Tiger then emerged from the magic array. The body of the Demonic Tiger was roughly the size of a small house. The black flames that surrounded its sharp claws sent the ambient temperature rising by several degrees. The instant the Demonic Flame Tiger appeared, the players on the street were immediately stupefied. "Why did a monster suddenly appear here?" "Could monsters be attacking the city?" "That's not right. Why aren't any of the guards on patrol reacting?" The onlookers grew fl.u.s.tered as they stared at the Demonic Flame Tiger. Not only did it possess an intimidating appearance, but the aura leaking out of its body also made their hearts shiver in fear. Even the elite players sensed a ma.s.sive threat from the Demonic Flame Tiger. Shi Feng could not help but smirk as he swept a glance at the immobilized players. He then walked up to the Demonic Flame Tiger. This was a Dark-Gold Mount. Its strength was equivalent to a Level 40 Chieftain. Naturally, it is not something ordinary players could handle. "Has that person lost his mind?! He's actually going up to it! Is he not afraid of getting killed?!" Everyone thought that Shi Feng had lost himself to fear as they watched him approach the Demonic Flame Tiger. However, when they saw the Demonic Flame Tiger obediently lie down before Shi Feng and enjoy Shi Feng's caress agreeably, their mouths fell wide open. However, an even more shocking scene occurred in the next moment as Shi Feng mounted the Demonic Flame Tiger. "Let's go!" Shi Feng shouted lowly. Suddenly, the Demonic Tiger let out a loud roar and took a step forward. It then transformed into an afterimage that disappeared before everyone. "I'm not seeing things, right?!" "That giant tiger Mount looks so cool!" No one dared believe what they just saw. Riding a Mount was still a faraway dream for them. Even if they managed to reach Level 40 eventually, ama.s.sing a fortune of 40 Gold was not that easy. It would be even more impossible for them to ride a Bronze or Mysterious-Iron Mount. While Shi Feng was rapidly making his way towards the Library, the players present on the street outside the Teleportation Hall went into a frenzy. Every one of them was madly posting on the official forums. A hero riding a giant tiger has appeared in White River City! Many people initially did not believe the words written in this post. After all, the number one players on the various empire Ranking Lists were only at Level 39. These players were still a long way off from reaching Level 40. How could there possibly be someone capable of riding a high-ranking Mount right now? After watching the recorded video, everyone was shocked. There were some who felt admiration, some who felt jealousy, and some who felt pride. There were also many people trying to guess at Shi Feng's ident.i.ty. Just who was actually capable of riding such a Mount? Unfortunately, as Shi Feng had hidden his face using the Black Cloak, n.o.body could discern his ident.i.ty. A Dark-Gold Mount sure is fast. Even an advanced horse carriage is far inferior to it. This was also Shi Feng's first time riding a Dark-Gold Mount. The speed of the Mount was simply incomparable to Fine-Gold Mounts. The Demonic Flame Tiger's speed was at least 20% or 30% faster than an advanced horse carriage. Just as Shi Feng was quickly approaching the Library, he suddenly received a call from Autumn Goose. When Shi Feng accepted the call, the image of an anxious Autumn Goose appeared before him. "What happened?" Shi Feng could not help but ask after seeing her apprehensive expression. "Ye Feng, Gunfire contacted me just now, saying that a group of players that had suddenly appeared is hunting Rain and Blue. These players are very powerful and are capable of doubling the death penalty of the players they killed. Moreover, they also have a means of jamming a player's communications. However, I'm currently not in Star-Moon Kingdom. Can you please go save them?" Autumn Goose asked worriedly. After reaching their Level, even a single death was a painful loss. If their death penalties were doubled, the cost of dying once would be devastating. However, she could not come up with a good method to save Thoughtful Rain and the others at the moment. The only person she could think of right now who might be of help in this situation was Ye Feng. "Where are they now?" Shi Feng was initially stunned, but he immediately said in a hurried tone, "I'll head over there right away." Shi Feng had never imagined that there would actually be people who would still dare to take action against Zero Wing's members within the boundaries of Star-Moon Kingdom at this point. 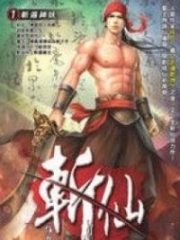 You're Read Reincarnation Of The Strongest Sword God Chapter 838 - Raging Market online at NovelOnlineFull.com. You can use the follow function to bookmark your favorite novel ( Only for registered users ). If you find any errors ( can't read,broken links, can't load photos, etc.. ), Please let us know so we can fix it as soon as possible. And when you start a conversation or debate about a certain topic with other people, please do not offend them just because you don't like their opinions. You're reading Reincarnation Of The Strongest Sword God. This manga has been translated by Updating. Author(s): Lucky Cat. Already has 1727 views. Current Time is 19-Apr-2019 01:17:25 AM.